Seagate launches 3.5-inch HDD Capacity 1 TB ~ " World Information "
SAN FRANCISCO - Seagate 3.5-inch HD launches world's first with 1TB of data storage capacity per disk drive. Present in products from Seagate GoFlex Desk is the first load of this new HD, providing up to 3TB of data storage capacity and an areal density of up to 625 Gigabit per square inch, the highest in the industry. 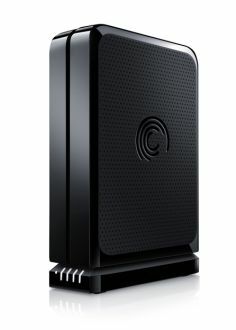 Ready to sell HD Seagate Barracuda 3.5-inch desktop kebanggannya with 3TB kpasitas on 3 discs disk, a sufficient capacity to store up to 120 high-definition films, 1,500 video games, thousands of photos or countless hours of digital music - to a distribution channel in the mid-year 2011. This drive will be available with a capacity of 2TB, 1TB and 1.5TB. "Various sizes of organizations and consumers around the world gather digital content with high speed, producing a huge need for storage of digital content in various forms are possible,"said Rocky Pimentel, executive vice president of Marketing and Sales of Seagate, as quoted by his official statement , On Wednesday (05/04/2011). "We remain focused on providing data storage capacity, speed and easy setup required by our customers in overcoming the growth of the digital world." External Drive GoFlex Desk corresponds well with the operational system (OS) kompter Windows and Mac. Each drive includes an NTFS driver for Mac, which allows the drives to store and access files from both computers had Windows OS and Mac OS X without the need to reformat first. GoFlex Desk External Drive 3.5-inch smooth black design can be placed vertically or horizontally to accommodate the placement of the desktop.